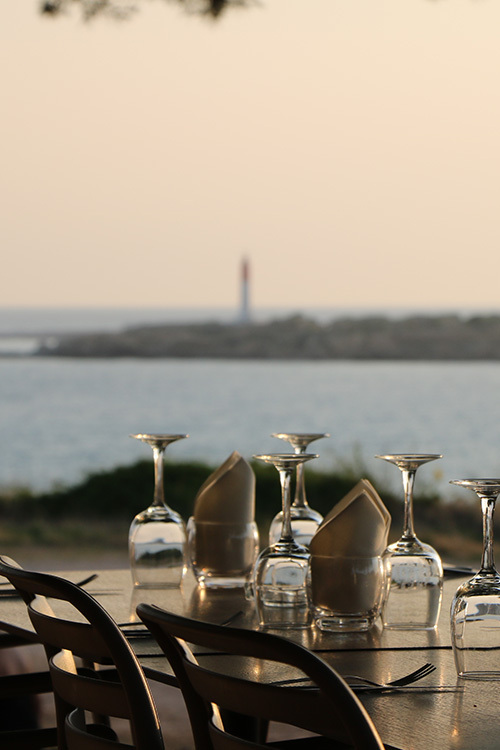 Located in La Couronne on the beach of Sainte-Croix, come and taste our delicious Mediterranean cuisine in an exceptional setting. In the heart of Provence and the Côte Bleue, on the water’s edge, Les Ombrelles restaurant offers you its catering services, wedding receptions, seminars and banquets. The menu is just like the restaurant: on the border between land and sea. You will find a varied menu that elegantly blends Mediterranean cuisine with more traditional dishes. We offer a wide choice of typical Italian pizzas cooked over a wood fire and made in the Italian style by our pizzaïolo. Finally, when the weather is fine you can also come and enjoy our bar area The Parrot for an aperitif and cocktails by the sea. We strive to offer you dishes rich in flavours cooked with love and care, and each of our products is selected to offer you quality ingredients. Based on a variety of ingredients, our Mediterranean cuisine will dazzle your taste buds with the flavours of the region through a wide choice of dishes, all delicately prepared. Come and enjoy it. The perfect place to come and drink an aperitif with friends in a magnificent setting, or to organize the event that will leave a lasting impression. Located between our large swimming pool and the sea, you are well surrounded. Discover our selection of pizzas baked on a wood fire by our Italian pizza chef. Pizza is a classic that you must know how to respect, and also the ideal dish to share with friends or family. "Delicious dishes, beautiful, and impeccable service"